Two men riding in the same car were hurt last Friday when the driver made an unsafe lane change and clipped the trailer of a semi-truck. The car landed in a ditch on the north shoulder of the road. Both of the injured men were transported to a local hospital, treated for their injuries, and released. Police are planning to ticket the driver for making an unsafe lane change. A 13-year-old girl was injured in an auto accident last Friday when the vehicle she was riding in was struck by a pickup truck. She was transported to a hospital. Police are investigating the wreck, and charges are pending. A Federal Way man was injured in a rollover crash on Saturday after he failed to negotiate a curve and struck a guardrail. His stopped car blocked one of the lanes of Interstate 82. Two people pulled in front of the stopped car and got out to assist the injured driver; a third car was unable to stop in time and struck the good Samaritans’ vehicle. The first driver was the only person hurt in the crash. He was taken to a local hospital. The driver of a Dodge Durango, who police say was behaving erratically and speeding, slammed into a Mazda pickup truck and sped off on Saturday afternoon. The driver of the Mazda was transported to a local hospital with injuries. Logan M. Jacobson, the driver of the Durango, was apprehended by police and will be investigated for reckless driving and felony hit-and-run. An early morning head-on crash in Seattle on Monday left the passenger of one car dead and the driver in jail. Police evaluated the driver of the first car involved in the collision and found signs of impairment. The driver of the second car was not seriously hurt, and police did not report any signs of impairment in that driver. The investigation into the accident is ongoing, and the apparently impaired driver may be charged with vehicular homicide. A pedestrian was rushed to Harborview Medical Center on Wednesday after being struck by a large truck on Airport Way South. His injuries were severe and life-threatening. Police are investigating the circumstances of the accident and have not yet announced whether charges will be filed. They did tell reporters that the 70-year-old man who was driving the truck did not show sign of impairment. 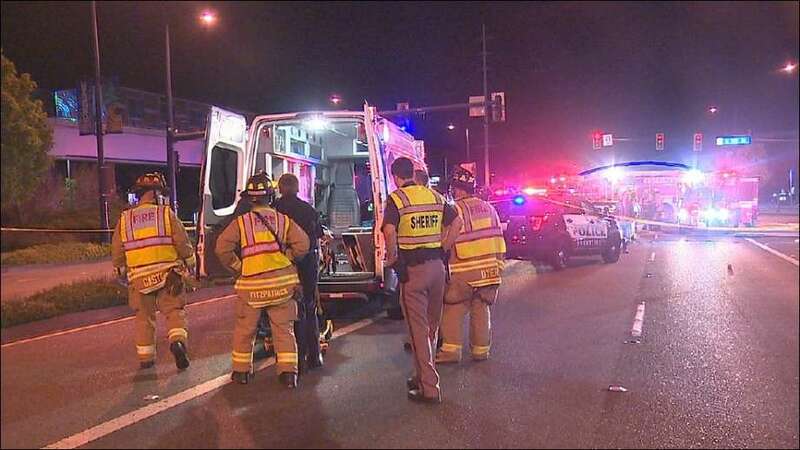 Early Friday morning, a car traveling at over 100 miles per hour sped through an intersection on Aurora Avenue North and slammed into another vehicle. A police officer had notice the speeding car and was in pursuit, but was unable to stop it before the crash. Four people who were in the speeding car were sent to the hospital, and the driver of the second vehicle was injured and needed to be cut out of his badly damaged car. The driver of a third car struck in the crash was uninjured.